YES Inc. is an organization dedicated to the entrepreneurial culture. It supports, in the Networking Countries, the implementation of Women's Economic Empowerment Policies and the fight against youth unemployment. In Mali, and in the West African Subregion, the Ten-Year Business Incubator Program for Women and Youth is another global commitment. On 6th January 2018, in the presence of Government Authorities, Elected Members, Notabilities, Diplomatic Institutions and PTF, the first Fair of Women and Young Innovators of Mali and Africa (called BITIKINI SHOW) took place in Bamako. . The event which registered more than 2000 participants was coupled with the launch of the Incubation-training of 1,700 Entrepreneurs - Innovators. These Startups will complete, at the end of their preparation in June 2018, to nearly 5,000 the number of innovators incubated by YES Inc MALI during the pilot phase of the Ten-year Incubator Program for Women and Young People. The many African talents being created are, for the most part, serial entrepreneurs and transformation-development actors in their respective communities. They are, moreover, prepared to work towards the multiplication of their own model among women and young people. 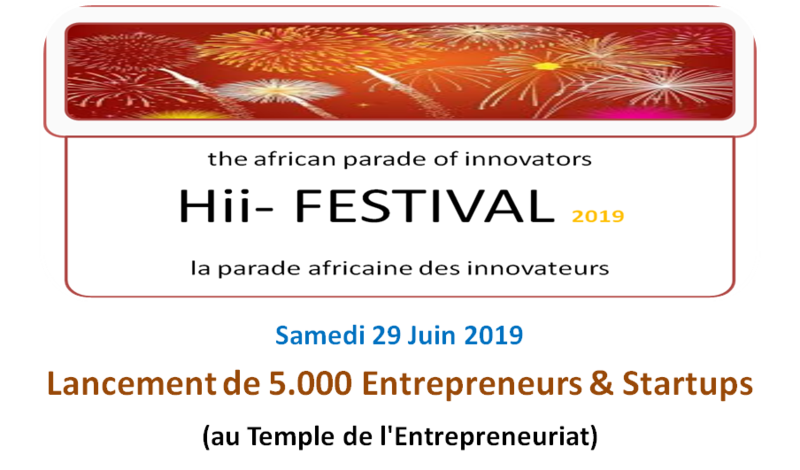 It is in order to better popularize their talents and amplify the effects of this multiplication that has been designed the High Impact Innovators Festival - Hii FESTIVAL. This Festival of High Impact Innovators will be coupled on June 30, 2018 with the launch of the Incubation of 2000 new Innovators (8th Generation YES Entrepreneurs). ü Promote social and economic entrepreneurship in communities. A commission is set up for the preparations of the Festival. The commission is subdivided into operational bodies, particularly focused on: - design and monitoring, - communication, - logistics. - Material Organization, - Security. The main tasks of the Commission are: ü identification, fixation, extension of the conditions and criteria for participation; ü validation of the activities identified ü development of the festival site; ü Planning and facilitation of planned communications. ü Development of the program of the day.